Ok, picture this. You're 27 years old, you've got a decent job in sales, you're doing ok, but you still drive a $6000 car. A 1990 Eagle Talon to be exact. You go to work on your average Wednesday. If someone were to come up to you and tell you that by that weekend you'd be driving your own Corvette, you'd probably laugh at them, right? I would have too. I never would have known that on that Wednesday I would get a phone call that would have me driving a 4 year old Corvette just two days later. That phone call was from a friend who goes to the auto auctions freqently. A friend of his called him and asked him to take his vette to the auction to sell it as he needed money by Friday or he'd go out of business. When asked how much he wanted, he replied $16,000 or $17,000, but he'd take $14,000 or $15,000 if it came to it. And this was for a 94 Corvette with only 28,000 miles. 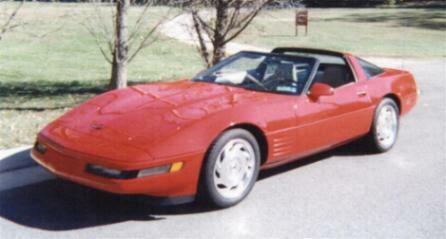 My friend called me and said he had a vette I could get for a steal if I could have the cash by Friday. And that I did, and I bought it for $14,500. I drove it around for about 5 months and sold it for $17,500 to the first guy that looked at it. This thing was immaculate. 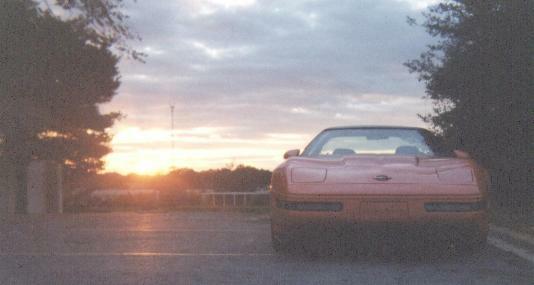 It had the removable glass roof, CD player, tan leather, all powers, digital climate control, --- the works. I might have kept it longer if it wasnt an automatic. That was the only thing I disliked about this car.